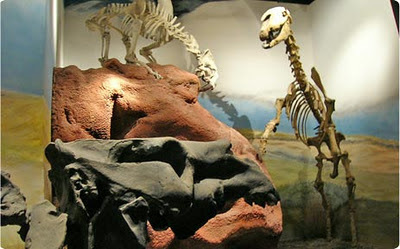 Argentina Discovery - The Egidio Feruglio Paleontological Museum concentrates the most important fossil finds of Patagonia. 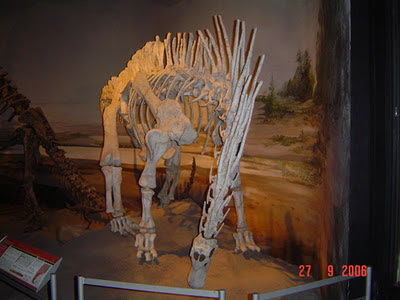 A reference to paleontology in Patagonia, the Egidio Feruglio Museum (MEF), located in the center of Trelew, operates in a modern building inaugurated in 1999 and keeps findings of considerable scientific value. Since 2004, the MEF belongs to the unit category associated with the Conicet (Council of Scientific and Technical Research), which among other actions, yields to the MEF 11 scientists for the research area. All the assets of the MEF, which was accumulated, studied and preserved, is exhibited with the central objective of telling the history of the planet taking as a contextual reference to Patagonia. 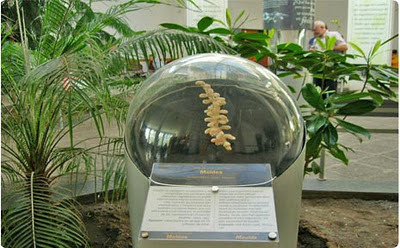 Under a contemporary museological conception, the exhibition area is designed from the current geological period until the Paleozoic Era with its ancient fossil records. More than 1,700 fossil pieces and 30 dinosaurs that show the rooms are accompanied by models and explanatory sheets, as well as a video projection that tells the beginnings of life on this planet. We went through the first sections of the room, which represent from the first human settlements in Patagonia to the primitive microorganisms, where some milestones of natural history are marked. 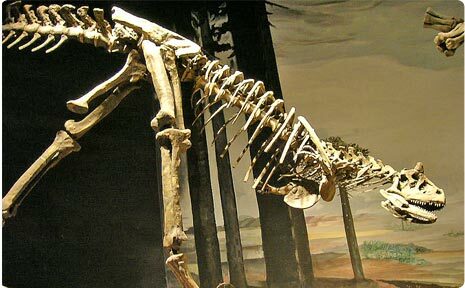 In the main sector, the Mesozoic Era is concentrated with dinosaurs belonging to the Cretaceous, Jurassic and Triassic periods. 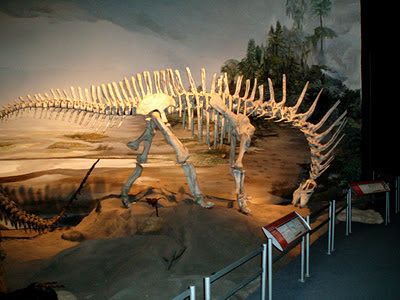 Among them, the Carnotaurus sastrei, belonging to the group of abelisaurids -the most spectacular South American carnivorous dinosaurs-, Gasparinisaura cincosaltensis, of the group of herbivores and Titanosaurus australis, with fossil eggs of this species. On the upper floor, the photographs reflect the different paleontological campaigns carried out in Patagonia and the achievements made thanks to the efforts of numerous scientists. The Feruglio museum building also has an auditorium that was named Germán Sopeña, as a reminder of the journalist who carried out a great task of scientific dissemination in the south. In addition to numerous programs for adults and children, guided tours for groups of 30 people, in Spanish, English, Italian and German. Likewise, the museum has an itinerant exhibition that travels around the world with the aim of spreading the paleontological richness of Patagonia. Today, there have been 23 visitors (123 hits) on this page!